Coffee + marijuana = Brewbudz. Some people can't start their day without their morning cup of coffee, while others need a little weed to get their creative juices going. 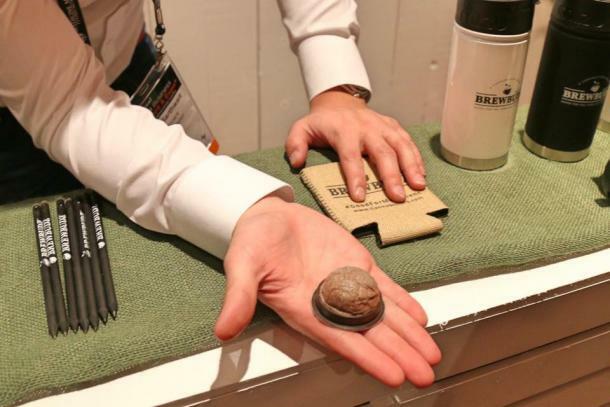 But finally, a product from California-based BREWBUDZ combines coffee and marijuana into convenient coffee pods. And these pods are compatible with the Keurig coffee makers many people already have in their homes. "It's an opportunity to bring together two different rituals in life," said BREWBUDZ Vice President Jeffry Paul in an interview with Westword. "Drinking coffee or tea is something that's part of your every day... There's also a ritual for marijuana, whether it's medicinal or recreational." There's 10 mg of THC in each pod for recreational users and 25 to 50 mg of CBD for medical users. So no matter what type of user you are, you can get your morning buzz from this weed coffee. This gives brand new meaning to "wake and bake." Coffee and cannabis! Can things get even better? Yes, they can because the BREWBUDZ single brew pods are 100 percent compostable and are 100 percent natural from start to finish. 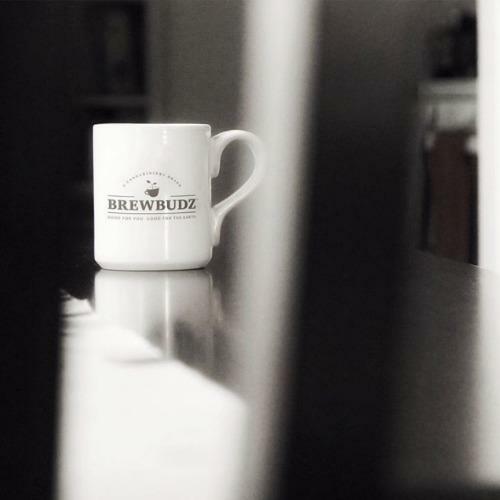 The BREWBUDZ website states, "The merging of cannabis and coffee delivered in a sustainable and environmentally conscious way invests us in the responsibility of caring for both our customers and the earth." These Keurig-compatible cups have a bottom that is made of a soft mesh material, not the usual hard plastic. And while the cups look and feel like plastic, it's actually made from recycled coffee beans. These K-cups may be more expensive (approximately $7 a piece) than the regular K-cups (which were denounced by their own creator as being environmentally detrimental) than the typical K-cups, so you'll feel much better about using them. The BREWBUDZ pods are filled with a combination of coffee and the actual cannabis flower, rather than an extract or an oil. By using a patented process, they are able to take advantage of the cannabis flower's full benefits. "Once you get into it and really start learning about this product and the benefits of the cannabis marijuana plant, the medicinal side of it is impressive, " said Paul. "As you look at a plant that has over 400 chemical components and 66 different cannabinoids, you look at all the terpenes and all the benefits — antioxidants anti-stress, anti-inflammatory, anti-insomnia." The coffee pods come in regular or decaf and there's also a hot cocoa and black, green, and chamomile teas. The coffee and the caffeinated teas have Sativa strains of weed which are considered more energizing, while the non-caffeinated tea includes Indica strains which provide a full-body or couch-locked effect. 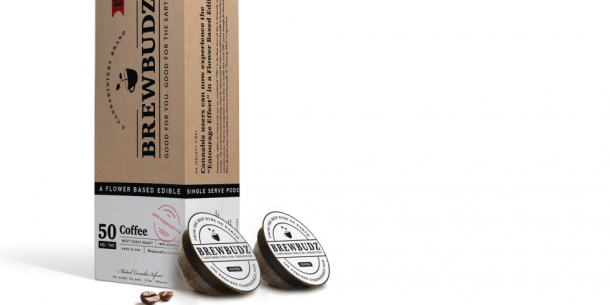 BREWBUDZ uses 100 percent Arabica beans and coming soon they'll be offering their coffee in French vanilla and Hazelnut flavors. They will be launching sales in six states (including California, of course) between now and March. Now you can add cannabis coffee to your weed wine and pot chocolate to your collection of discreet cannabis delivery systems.